Doctors have always told us what foods NOT to eat, but Chef David Bouley is much more interested in WHAT’S ON THE MENU. Everyone can benefit from learning powerful nourishment to strengthen our liver function and immune systems. Dr. Maliha Ahmad M.D. and Chef Bouley team up to discuss Fatty Liver Disease, which is very common in middle-aged Americans, with the incidence increasing. Dr. Ahmad’s presentation will focus on understanding the major the risk factors and making preventative diet changes to reduce the risk of developing or progressing the disease. Her interactive presentation will be followed by a liver-boosting multi-course dinner created and prepared by Chef David Bouley. Dr. Maliha Ahmad is currently the Director of Liver Disease’s at St. Joseph’s Regional Medical Center with over 10 years of experience in taking care of patients on the Liver Transplant List in addition to those with early liver disease. She has participated in multiple clinical trials in search for new improvements in the field, as well as writing grants to increase awareness of liver disease. This immersive dining and educational culinary experience is part of Bouley’s “the Chef and the Doctor” series. A series of health-focused, multi-course culinary experiences featuring world-renowned doctors and Chef David Bouley. Each event begins with a reception featuring passed canapés and a specialty health tonic cocktail. After the doctor discussion, Chef Bouley will prepare a healthy wine dinner featuring products and ingredients to further enhance the topic of the evening. 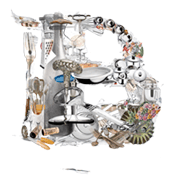 You’ll learn, wine and dine at Bouley Test Kitchen. This event space features an open kitchen meaning unfiltered access to seeing the Bouley Chefs preparing and cooking your meal! An evening not to be missed!